The ground chicken in this recipe gives standard spaghetti and meatballs a new spin that's sure to become your next family favorite. 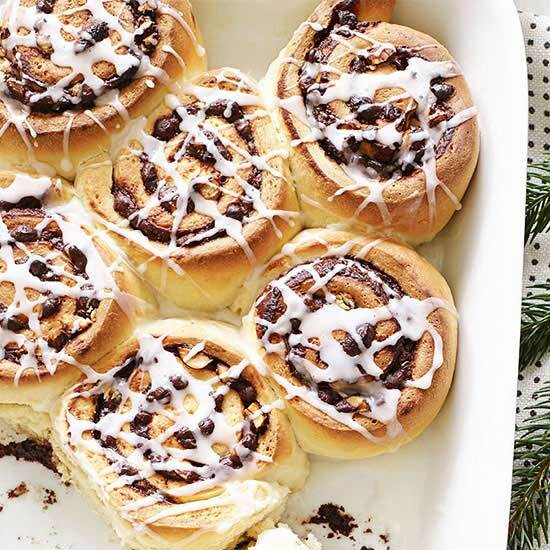 1 of 6 Heat oven to 375 degree F. Line a rimmed baking sheet with foil and place a baking rack over it; coat rack with nonstick cooking spray and set aside. 3 of 6 2 tablespoons of the parsley and 1/2 teaspoon salt, and stir until evenly mixed. 4 of 6 With clean hands kept wet with water, shape mixture into thirty 1-1/2-inch meatballs. Place meatballs on prepared rack and bake at 375 degree F for 24 minutes. 5 of 6 While meatballs are cooking, make sauce. Heat oil in a nonstick medium-size skillet over medium heat. Add garlic and cook for 1 minute. Add tomatoes, balsamic vinegar, Italian seasoning and black pepper and increase heat to medium-high. Cook for about 13 minutes. Stir in remaining 1/8 teaspoon salt and 2 tablespoons parsley. 6 of 6 Cook pasta according to package directions. Drain and reserve 1/2 cup pasta water. 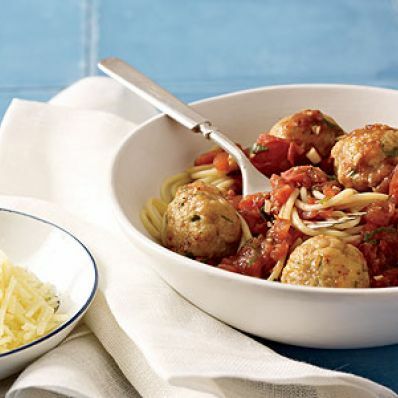 Transfer pasta to a large serving bowl and top with meatballs. Stir pasta water into sauce and spoon sauce on top of pasta and meatballs. Per Serving: 65 g carb., 13 g Fat, total, 432 kcal cal., 24 g pro., 394 mg sodium, 10 g fiber, 3 g sat. fat, 93 mg chol.